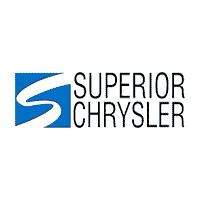 Calculate Your Next Car Payment | Superior Chrysler Center " "
Calculate a car payment online at Superior Chrysler Center, Inc., to help you get behind the wheel of your next Jeep Cherokee or Ram 1500! Our car payment calculator is an efficient tool to narrow your search in and choose the Superior, Wisconsin, vehicle that perfectly fits your budget and your lifestyle. Just plug in the vehicle price, loan rate and term, the amount you have for a down payment, and your trade-in appraisal price, and your car payment amount will appear in seconds. Superior Chrysler Center, Inc., offers everything you need to get the ideal auto financing for you in Superior, WI. The experts at our finance center are here to answer all your questions about flexible lease options and affordable auto loans. Our secure car finance application is the fast lane to getting pre-approved fast. Calculate your monthly payment to get started. You’re just a few clicks away from a sparkling new Chrysler Pacifica or reliable used Jeep Renegadefrom Superior Chrysler Center, Inc. Check out manufacturer incentives and new vehicle specials for mind-blowing deals on the Ram pickup or Dodge Durango you want now. Contact us in Superior, WI, and get on the road in a new Jeep SUV today!